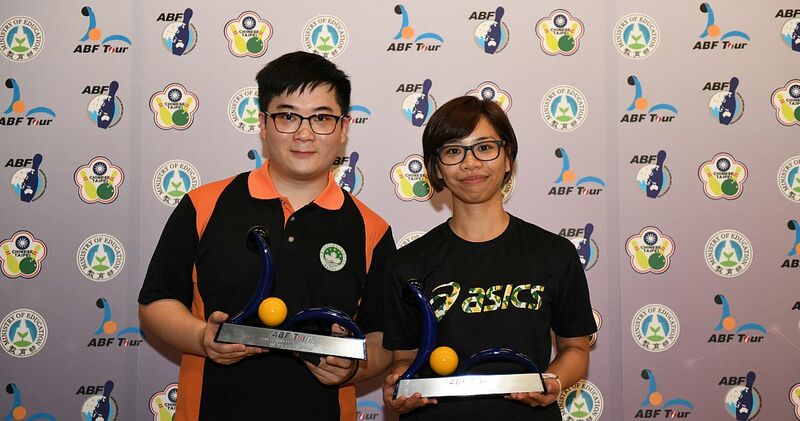 Lee Tak Man of Macau and Chinese Taipei’s Su Shu-Wen concluded the 2018 Asian Bowling Federation (ABF) Tour season with victory in the men’s and women’s ABFT Chinese Taipei leg Sunday at Southern Bowling Center in Kaohsiung City, Chinese Taipei. 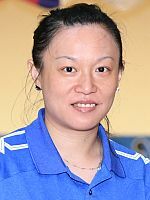 It was the third title for Lee in the men’s division in the 14-year history of the Tour which was inaugurated in 2005, while Su captured her first career title in the women’s division. 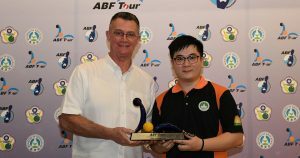 The 18th Chinese Taipei Open served as qualifying event for the ABF Tour Chinese Taipei leg, the fourth and final event of the 2018 ABF Tour season. 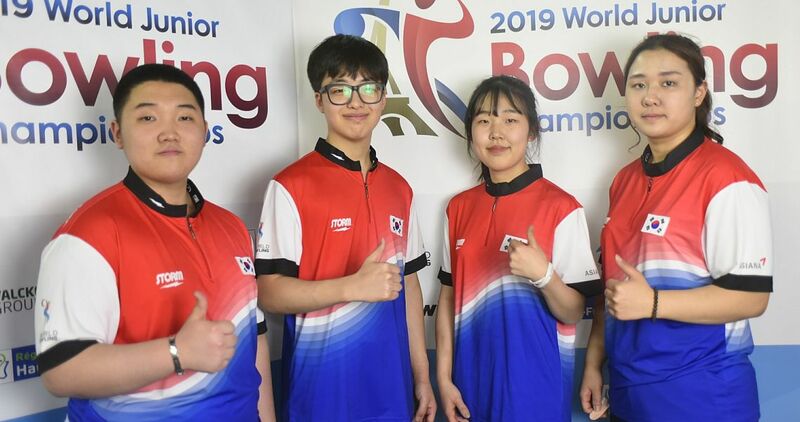 The top 16 men and the top 16 women in the Chinese Taipei Open determined the champions in single-elimination match play decided in one-game matches using the World Bowling Scoring System. 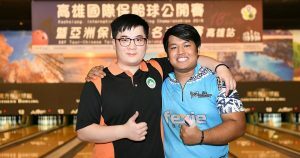 Lee (left), who won the 2013 Macau and the 2015 Thailand legs, defeated Syaffique Ikhwan (right) in the men’s title match, 256-23, to hand the Malaysian his second first-runner-up finish within two days. Ikhwan fell to Annop Arromsaranon of Thailand in the Chinese Taipei Open finale, 246-153. 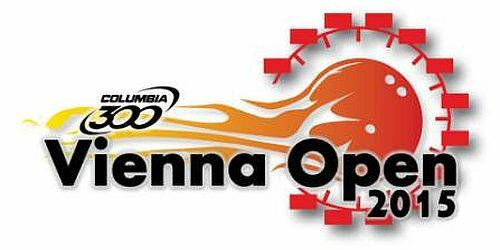 In the semi-final matches Lee sidelined the last Chinese Taipei bowler, Fang Chih-Nan, 267-214, while Ikhwan rolled his second consecutive 278 game to oust Jimmy Cheung of Hong Kong (243). 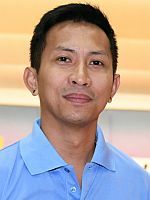 Lee (pictured with Mike Seymour, Vice President of Asian Bowling Federation) received a US$500 bonus for winning the TV finals, Ikhwan got $300 for second place and Cheung and Fang each garnered $150 for their third and fourth place finish, respectively. 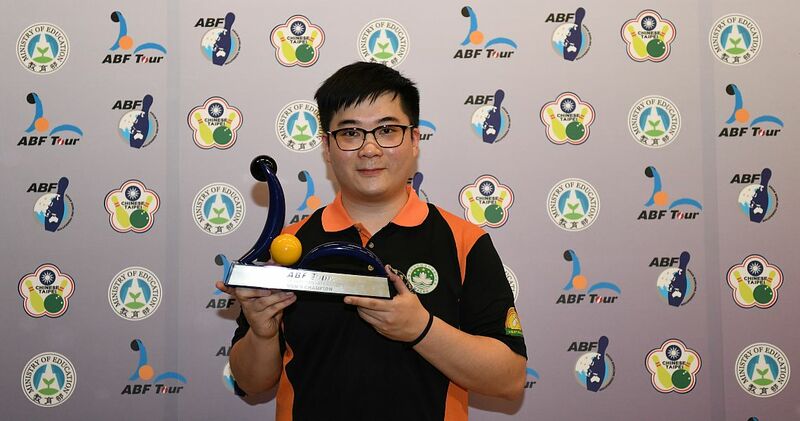 Lee also received 75 ranking points for the victory which propelled him into second place in the 2018 ABF Tour men’s ranking with 108 points. Hong Kong leg winner Ryan Lalisang (left) of Indonesia, who did not compete in Kaohsiung, is the 2018 ranking leader with 135 points, with Jimmy Cheung in third place at 91 points. 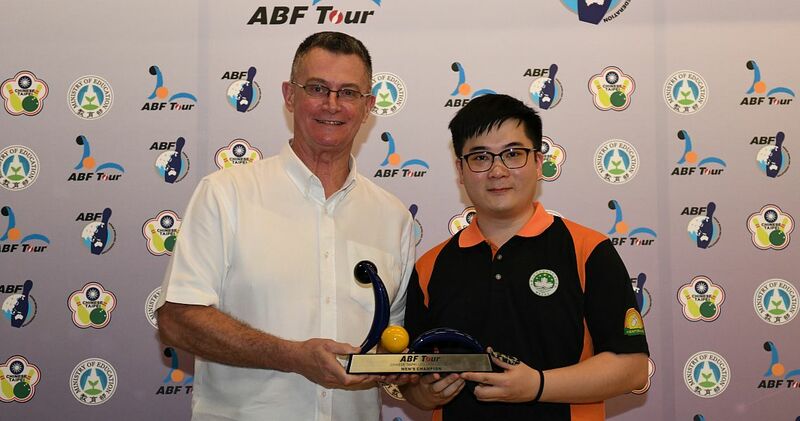 The top 16 men and women in the men’s and women’s ranking qualified for the ABFT Tournament of Champions in 2019. 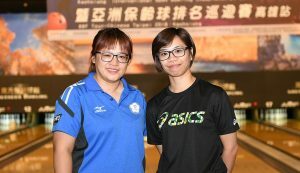 The women’s division title match went into overtime as Su Shu-Wen (right) and her fellow countrywoman Tsai Hsin-Yi (left) were deadlocked after 10 frames at 233. 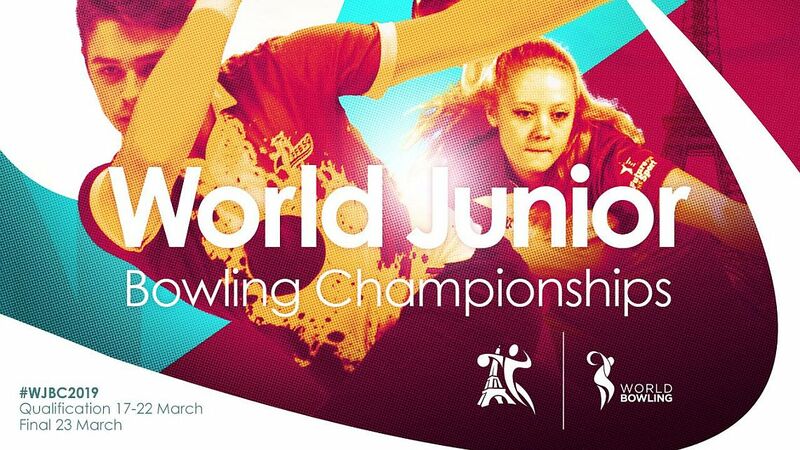 In a 9th and 10th frame roll-off Su went spare-strike to defeat Tsai (strike, split), 48-39, according to the World Bowling Scoring System. 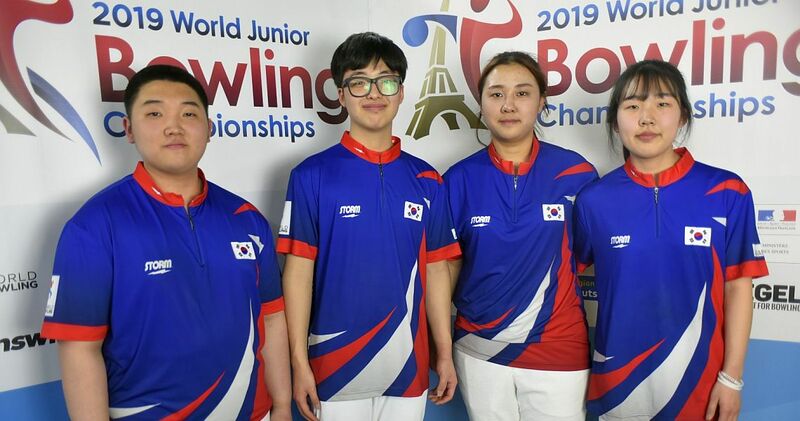 In the semi-finals, Su took down Thailand leg champion, Wang Ya-Ting of Chinese Taipei, 266-234, while Tsai topped Chan Shuk Han of Hong Kong, 243-224. 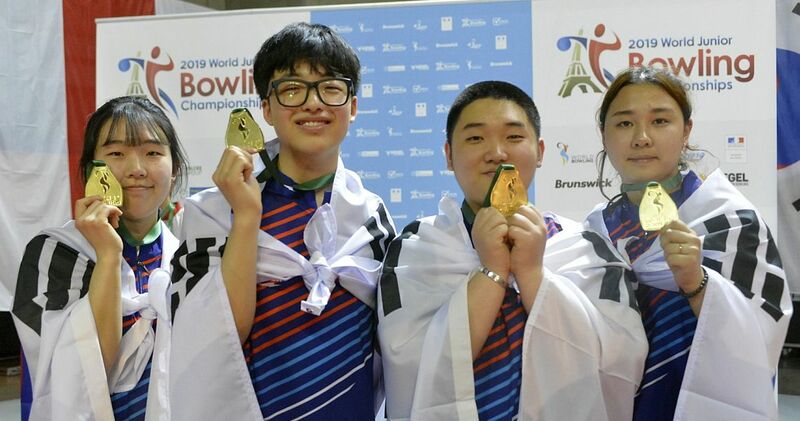 Su (pictured with Wu Fu-Lung, President of Chinese Taipei Bowling Association) received $500 for first place, Tsai got $300 for second place and Wang and Chan received $150 apiece for third and fourth place, respectively. 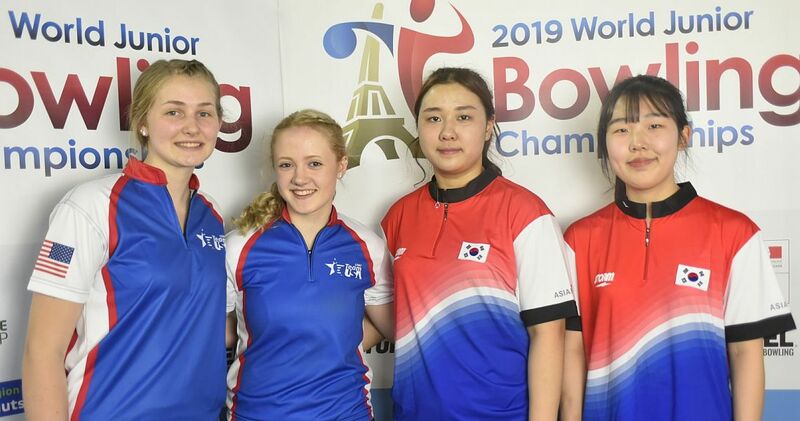 As there were only three countries participating in the women’s leg, Su earned 50 instead of 75 ranking points, yet still enough to position herself in 13th place in the ABF Tour women’s ranking to qualify for the 2019 ABF Tour Tournament of Champions. Wang Ya-Ting (right) added 32 points win the ranking with 107 total points, with Hong Kong leg winner Yanee Saebe of Thailand in second place with 98 points and Hee Kar Yen of Malaysia in third place with 94 points. 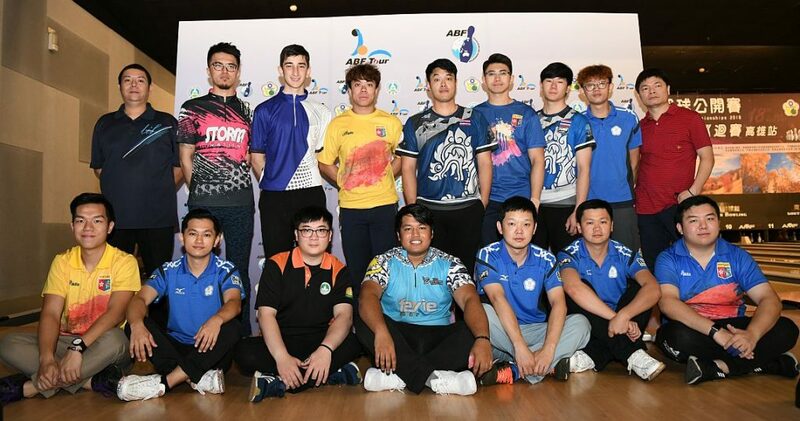 The 2018 Asian Bowling Federation Tour featured four legs in East Asia (Thailand, Macau, Hong Kong and Chinese Taipei). 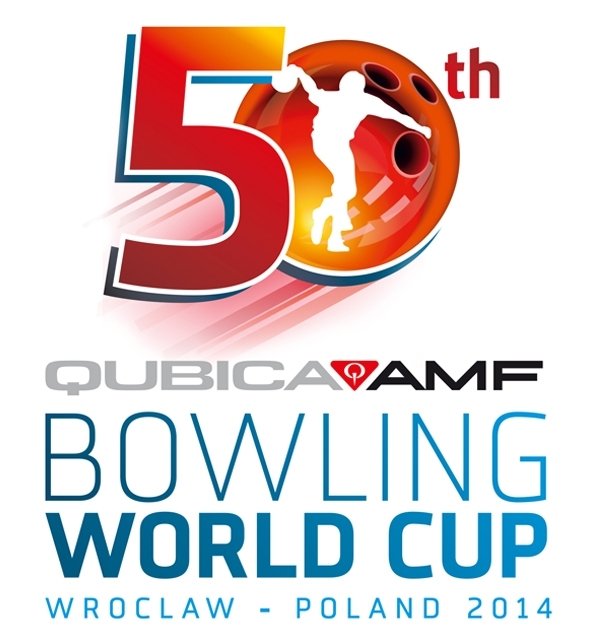 Photos courtesy of Asian Bowling Federation (abf-online.org). 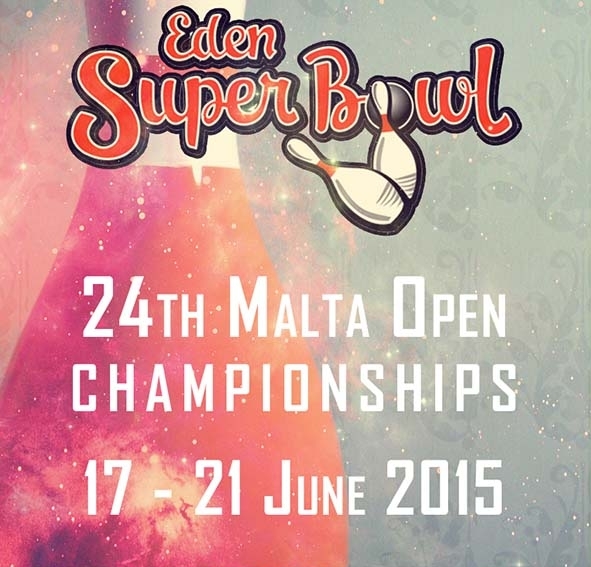 Please note: As there were less than three countries participating, women weren’t awarded full ranking points.